Yet to available in market but already gaining vast attention from the public. Thanks to iPod! It is because of “Apple VS Microsoft” kind of comparison games. Or perhaps due to supportive desires of fans from both camp! 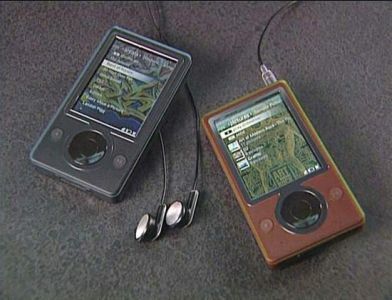 Designed and made by Toshiba, Zune players is said to be available in three colors – brown, black, and white. It is said that Microsoft will preloaded the Zune, perhaps only the first batch to gain marketing efforts, with some comtempory hit songs and vidio featured by Hot Chip, 30 Seconds to Mars, CSS, Serena Maneesh, Bittersweet, etc. 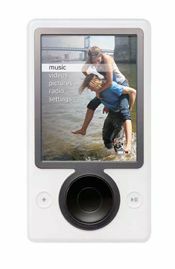 Source related to Zune player said it will come with 30GB mechanical-based hard disk, FM tuner, and a 3 inch TFT screen which is slightly bigger than iPod. Accessories will includes car player adapter, docking station that able to link with home theater. In addition, the player is designed to enable wireless media files sharing among Zune players and Microsoft Media Center. 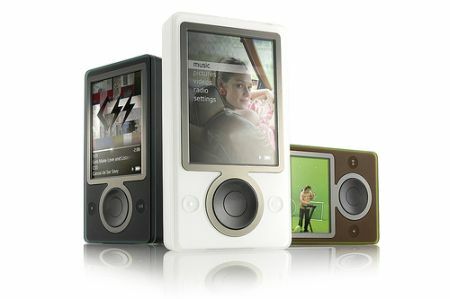 Zune player is scheduled to hit the market in coming Christmas season with price tagged around USD 299. Yup! No worries of getting cool Christmas gift this year round!